Angus Keith died 8th December 1966. Wife Robertina Ganson died 4th December 1979. Daughter Joan Keith died 9th August 1956. 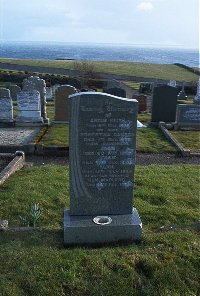 Daughter Jesse Keith died 23rd January 1946. Daughter Alice Keith died 25th July 1958. Husband Ken Macleod died 29th August 1971.